Are you a campaign manager for a political candidate? Looking for fresh promotional ideas to infuse enthusiasm and awareness of your client among voters? We present an innovative, easy-to-implement, safe and cost-effective idea to create buzz around your client. These are a great idea to use along with the traditional means of promotion. As the name suggests, custom political temporary tattoos can be customized with any logo, slogan or image representing your client. You can also create political temporary tattoos with your country’s flag, patriotic message with your client’s party/image superimposed on it. Easy to apply and remove, these last on the skin from 3 days to a week. How to use Custom Political Temporary Tattoos in your client’s political campaign? 1. Use Custom Political Temporary Tattoo as give-aways at speeches, rallies and town-halls. Create a temporary tattoo station, with water, disposable tissues and a waste-bin. 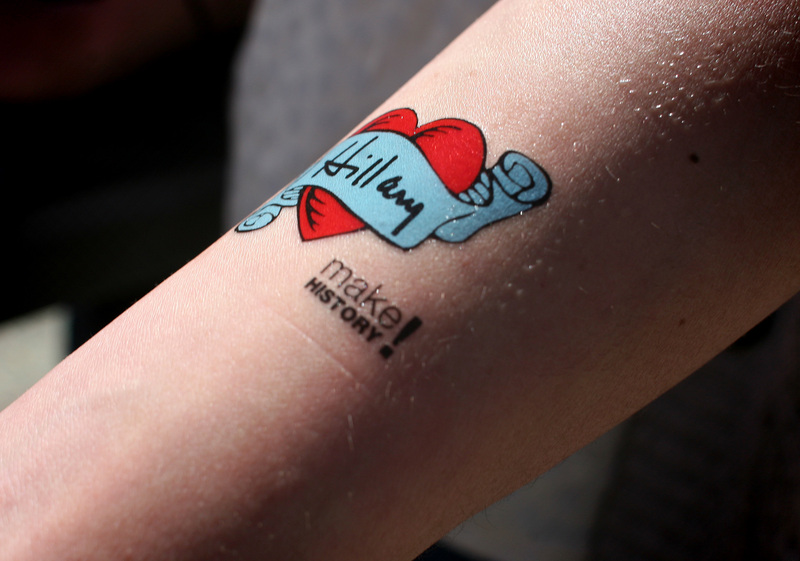 Arrange for party volunteers to sport the temporary tattoos, and encourage other supporters to sport the tattoos. 2. Include your client’s temporary tattoos in fund solicitation and thank you letters to supporters and political donors. 3. Request your client’s celeb supporters to sport your client’s temporary tattoos and post the pictures on their social media. 4. On the day of polling, give out ‘I Voted’ or ‘Every Vote Counts’ or any other temporary tattoo with patriotic messages. 1. In 2008, for Barack Obama’s presidential campaign, around 4 hundred thousand ‘Obama’ temporary tattoos were distributed around the country. 2. In 2011, Peruvian Presidential candidate Ollanta Humala used temporary tattoos extensively as a promotional tool with 4 distinct designs. They included photos of the candidate imposed on Peru’s flag and with a message for Peru. Above 4 million tattoos were produced for the campaign, almost 1 temporary tattoo for one in seven Peruvians. The campaign was a huge success and Ollanta Humala went on to win the elections. 3. MJ Hegar, a 2018 Texas Congressional candidate released a viral video highlighting her real permanent tattoos and her career as a US war veteran. She also released temporary tattoos with “MJ for Texas” slogan. 2. 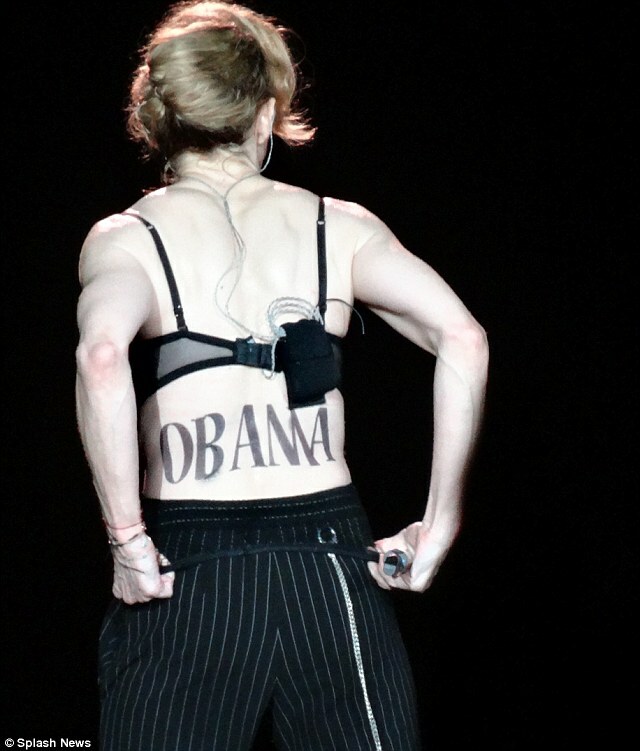 In 2012, Madonna showed her support for President Obama by sporting a huge ‘’OBAMA’’ temporary tattoo on her back at her MDNA Tour at New York's Yankee Stadium. For fundraising ideas using temporary tattoos for your client’s party, check this post. If you are a campaign manager/political event manager interested in using custom political temporary tattoos, reach out to us at sales@gumtoo.com for tattoo ideas and sizes. Our tattoos use FDA compliant inks that are skin safe, are non-toxic, hypoallergenic and go through stringent third-party lab tests to ensure that they are completely safe or both children and adults.